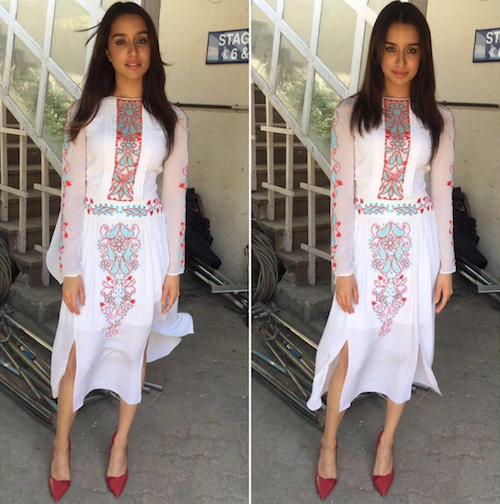 Love Baaghi Or Not, Shraddha's Outfits WILL Steal Your Heart! We've been waiting for a while for Baaghi to finally release and now that it's finally here, we're super excited to watch it! But more than that, after seeing all of Shraddha Kapoor and Tiger Shroff's looks at the promotions, our excitement just couldn't be contained! Here are a few looks that totally stole our hearts! 1. Gown with a twist - Shraddha's checked strapless gown is going to feature in our dreams for days to come, we're sure of that! Image: Shraddha Kapoor on Instagram 2. Now that's a look we just can't get enough of - full-on glam while still being in your comfort zone! Image: Shraddha Kapoor on Instagram 3. Easy-breezy does the job! Her gorgeous midi dress is giving us major summer outfit inspiration! Image: Shraddha Kapoor on Instagram 4. No one can carry off the casual look as well as Shraddha! But you bet we're going to still try this one! Image: Shraddha Kapoor on Instagram 5. 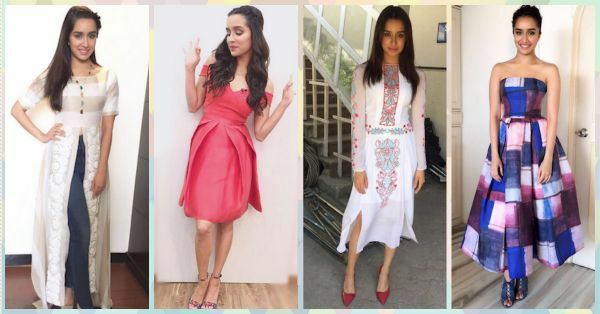 Everyone looks pretty in pink - but Shraddha's look just takes the cake! It's as if this adorable dress was made for her! Image: Shraddha Kapoor on Instagram 6. No way is a fashion myth going to stand in her way... Horizontal stripes for the win, ladies! 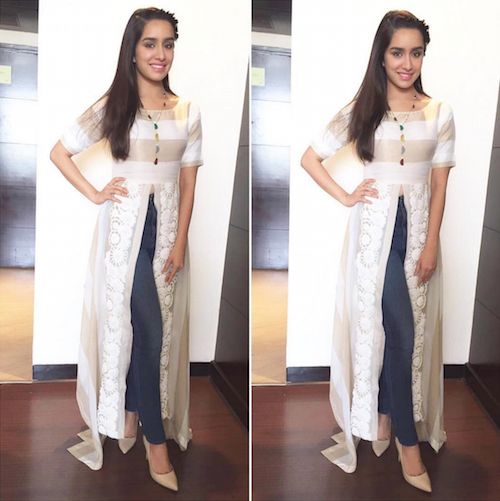 Image: Shraddha Kapoor on Instagram MUST-READ: 7 Times Sunny Leone’s Style Made Us Go… WOW! MUST-READ: 6 Times Mira Rajput Made Us Go WOW!